Yes, I have only four day left before depart for Entebbe, Uganda and then on to Kibaale. My life is crazy. I feel like I am on a treadmill with a long list of chores to complete. The bags are packed and waiting for my final last minute items that still need to be bought like my medications. My doctor when to bat for me and got the pharmacy to provide me with a year supply. Praise the Lord. I am still learning how to blog so for the next few days, I will be up dating this blog with short notes. You all know that practice makes perfect and I need to be perfect on up loading new information to this blog before I depart. So, thanks for your patience. 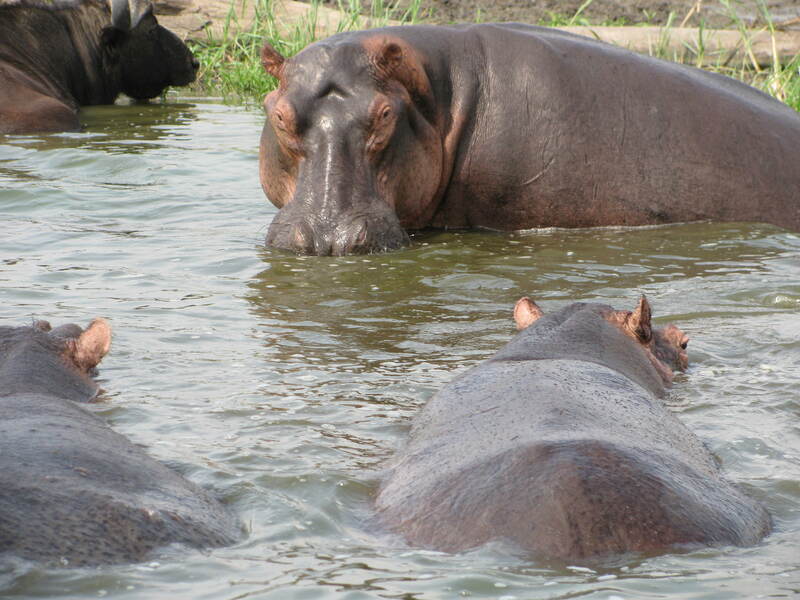 The hippos are in the Queen Elizabeth National Park of Uganda. I enjoyed a quick visit to the park in July of 2011. It was amazing to see these majestic animals in there natural environment. I saw some very large males as well as a large female with a injured baby by her side. We were told that a large male attacked the baby and the mother came to her infant’s rescue. The park ranger expects that the baby will live but with have scars. I am hoping to return to this park and do another safari near the end of my time in Uganda. My life is now busier….. 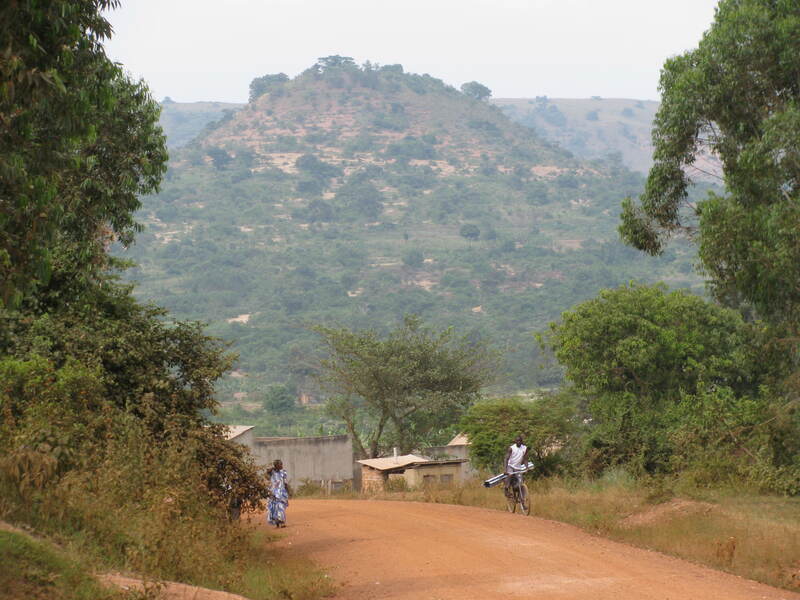 This is one of the roads leading into the village of Kibaale. I will be traveling down this road in less than one week’s time. Believe it or not but I will be leaving Vancouver on Jan 10, 2012 @ 8 pm via British Airlines into London, England and then on to Entebbe, Uganda. I am so excited to be finally going. I felt like I was in a holding pattern for the last few weeks but now….. WOW, I am in high gear and moving at high speed. There is still much to do but I can see the light at the end of the tunnel. As much as I am excited about spending the next year in Uganda, I am sad at saying goodbye to my friends and family. I started this blog to keep us in contact with each other and to keep the lines of communication open. I would like to keep you up dated with all that is happening or not happening in Kibaale and in Masaka. As you may know the internet is very limited in rural Uganda. So, I am not sure when I will be able to up date this blog. Each time I have access to the internet, I will add to this blog. This is the beginning on another adventure for me…… another adventure with God. This blog will chronicle the adventures of Margo while living in Kibaale and Masaka in Uganda. 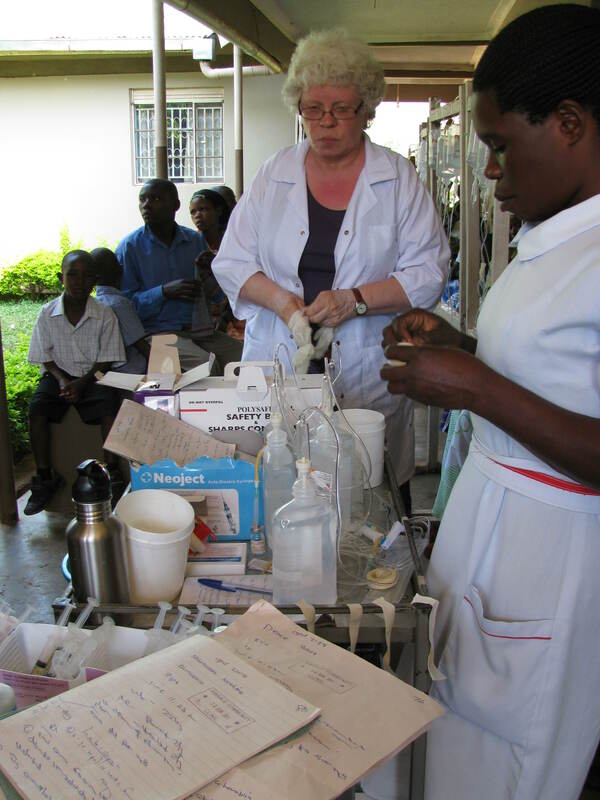 This was taken while I was in Kibaale Clinic in July 2011. As you can see the clinic is busy and somewhat disorganized. Part of my responsibilities for going back is to help add some more organization to the already busy clinic.